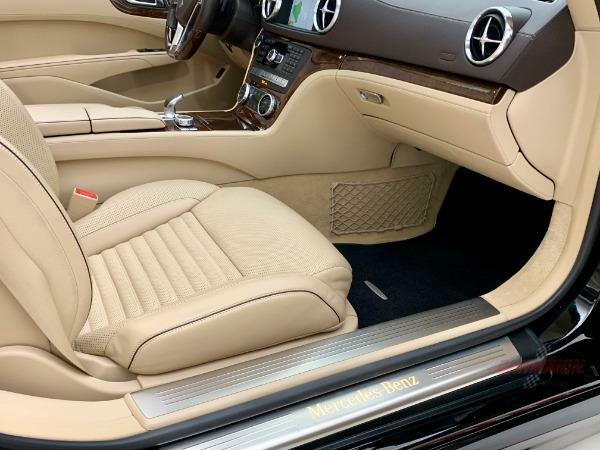 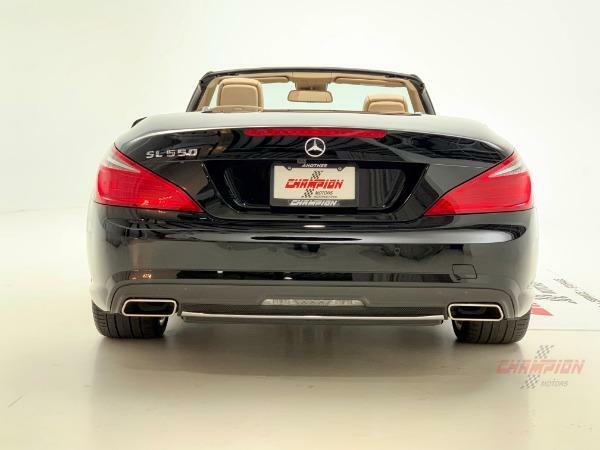 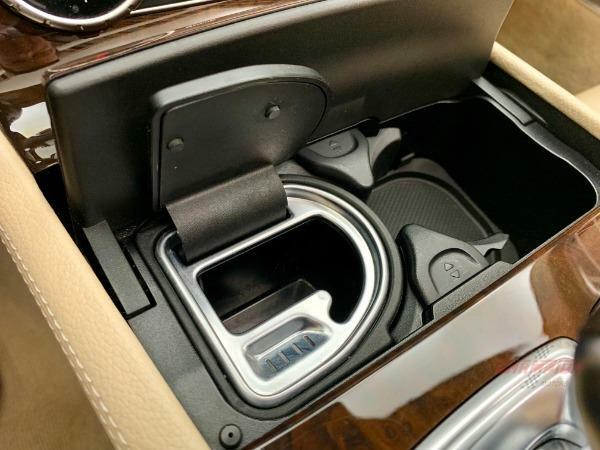 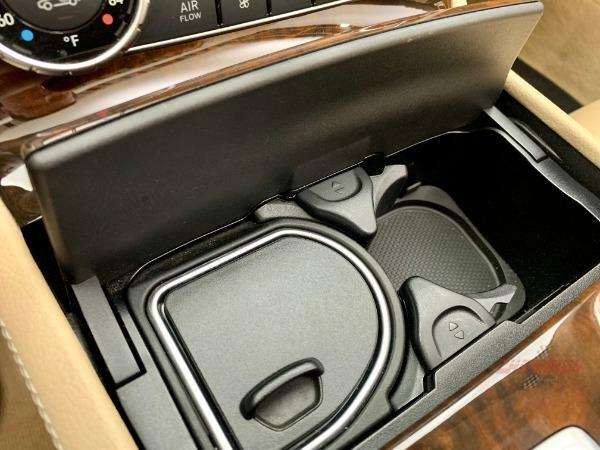 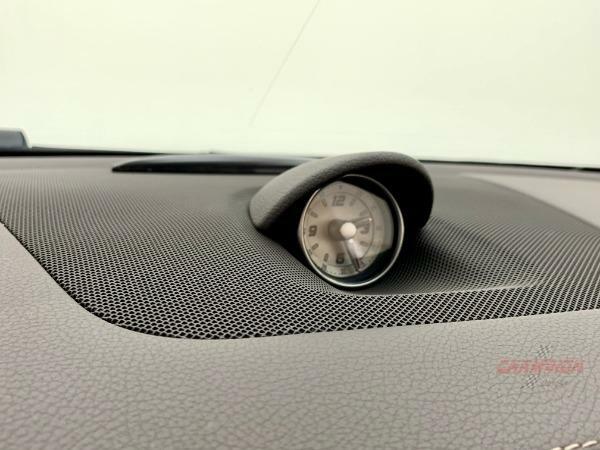 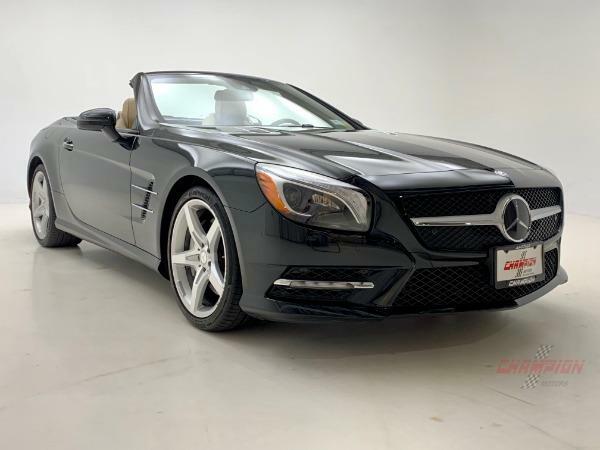 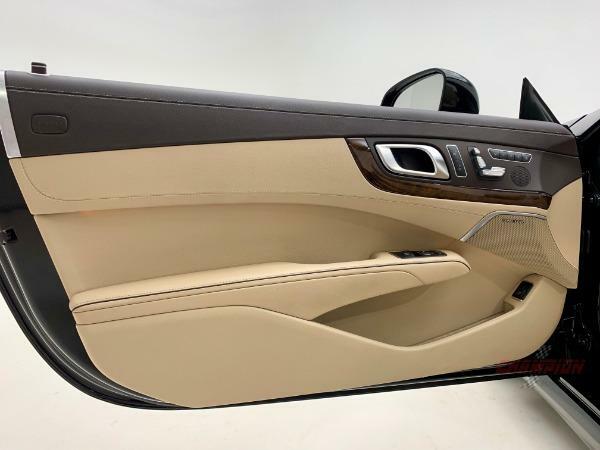 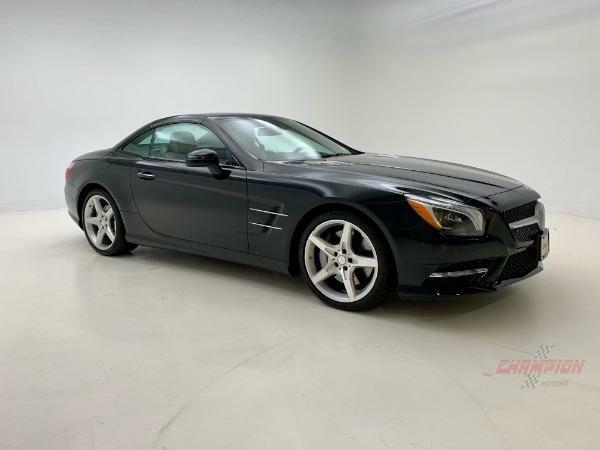 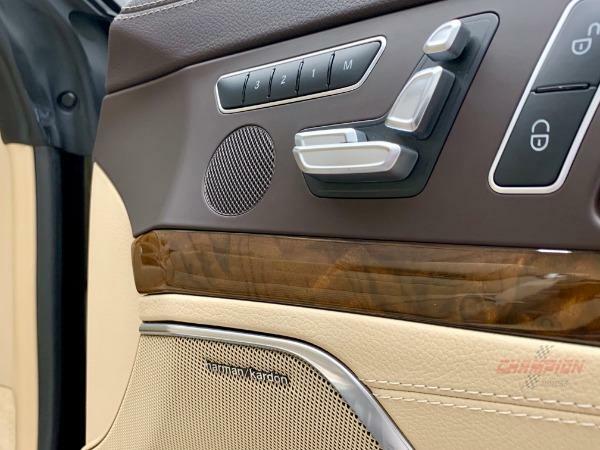 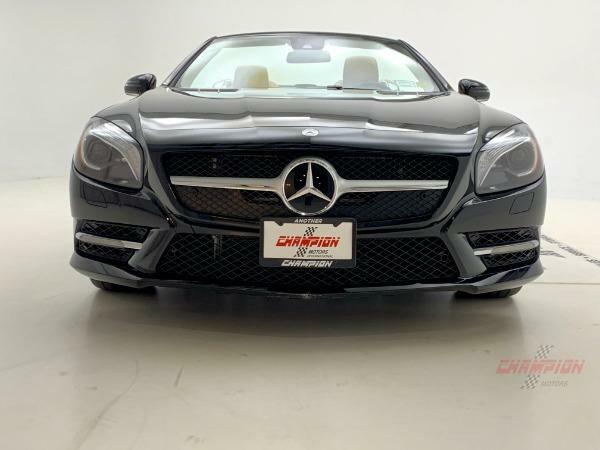 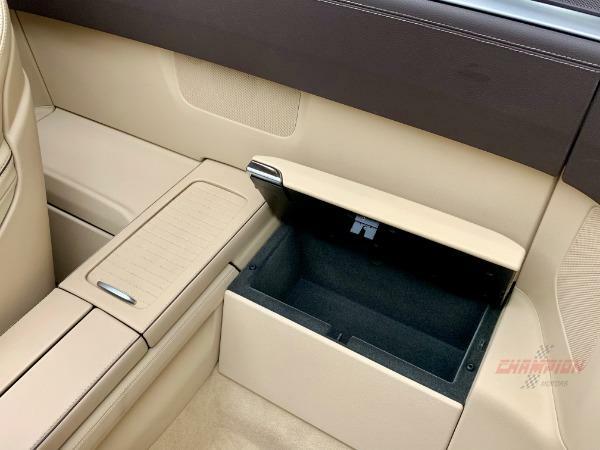 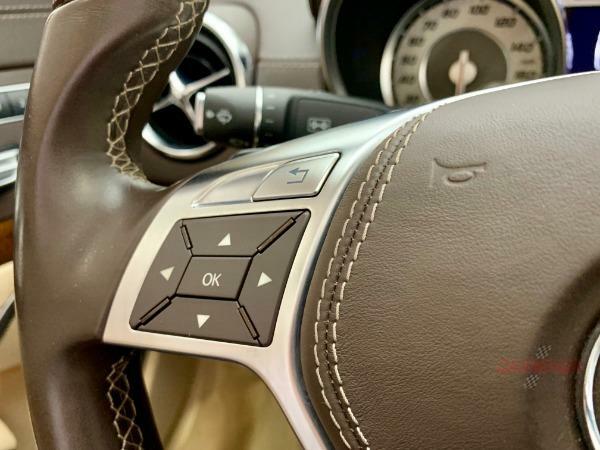 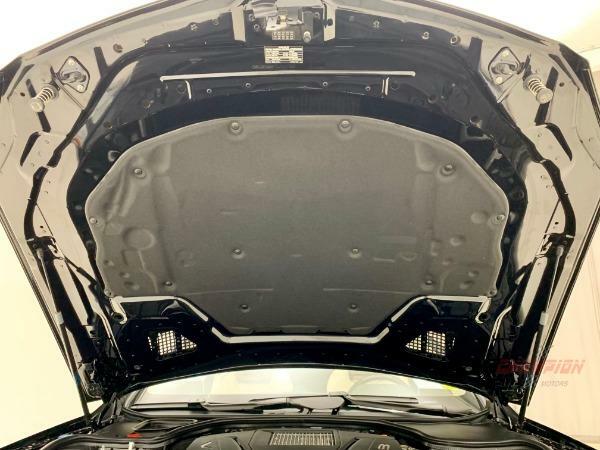 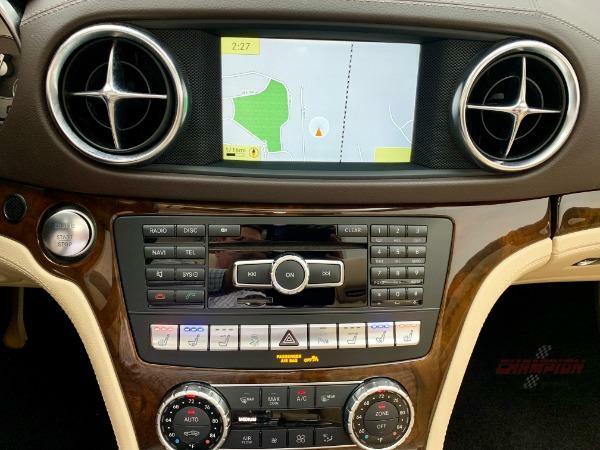 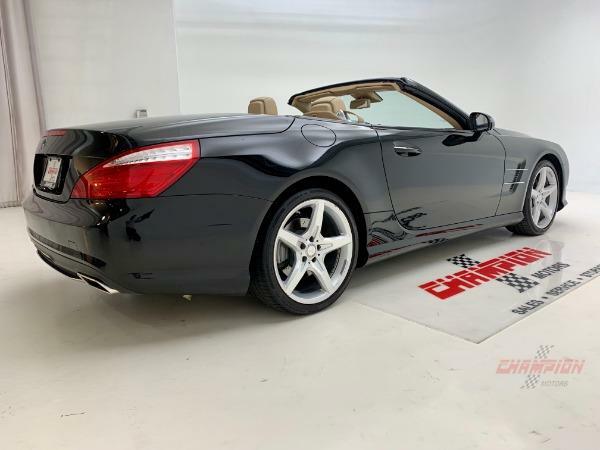 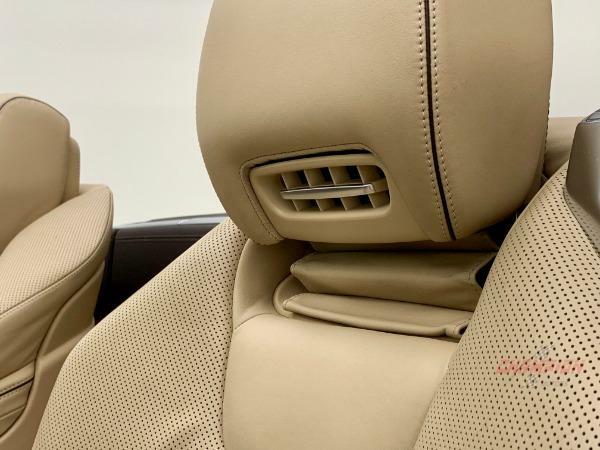 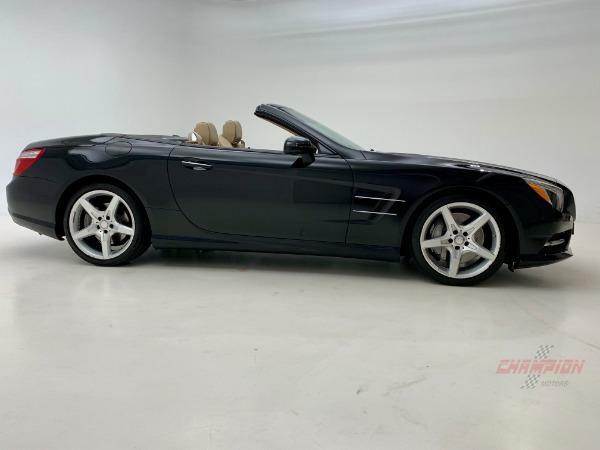 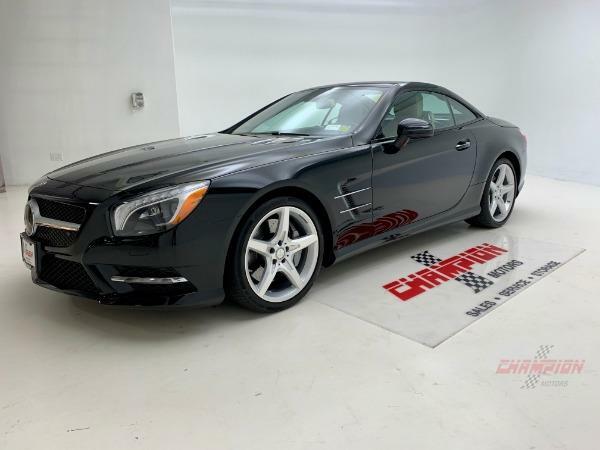 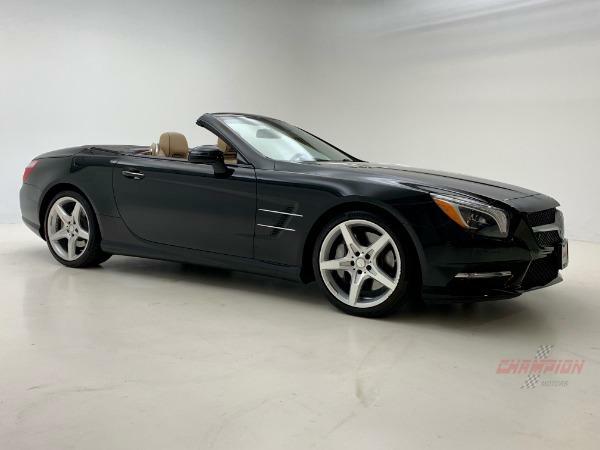 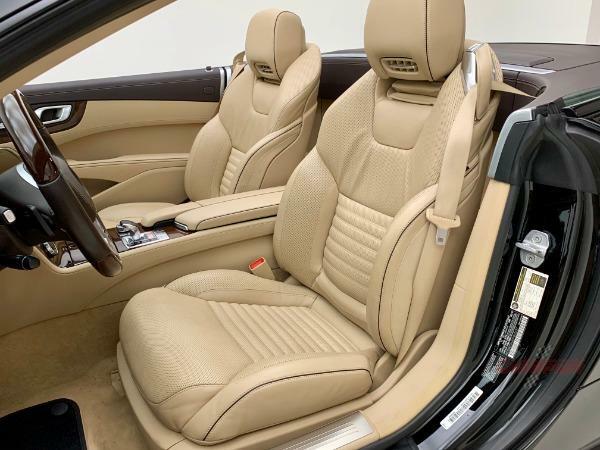 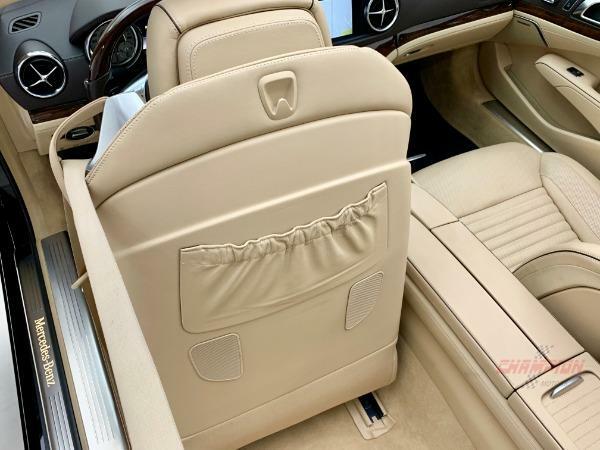 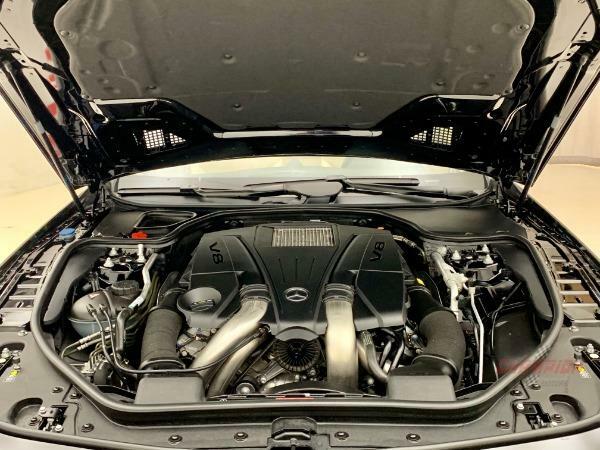 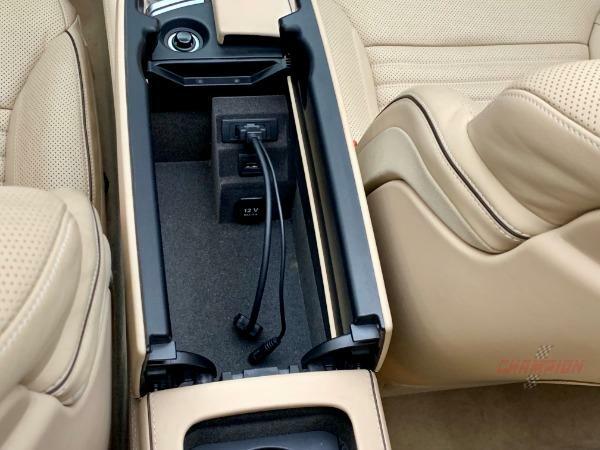 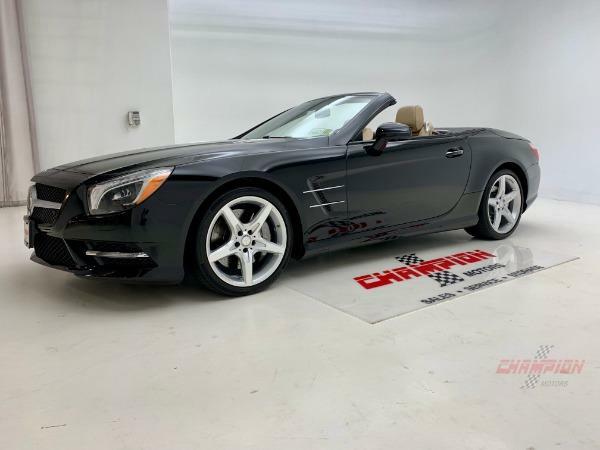 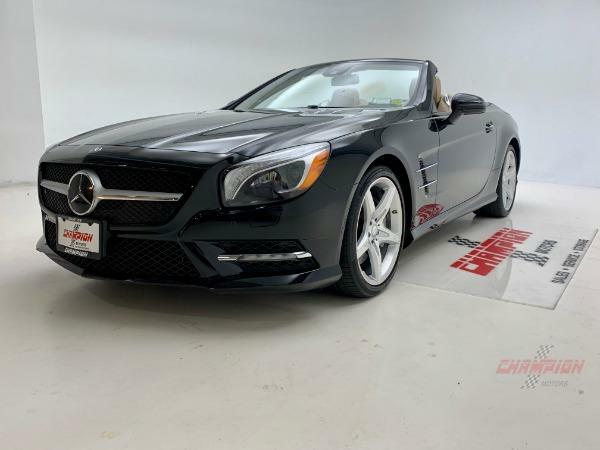 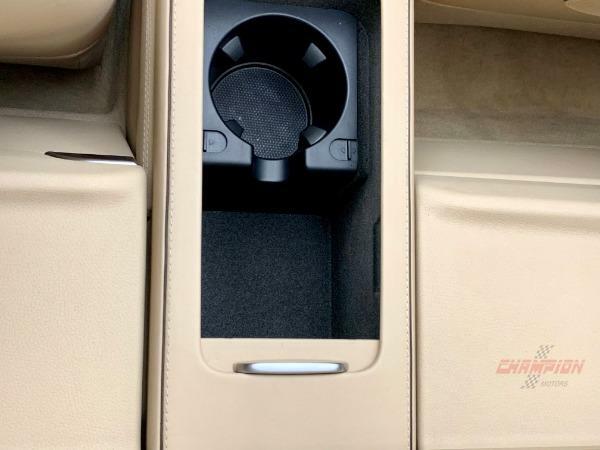 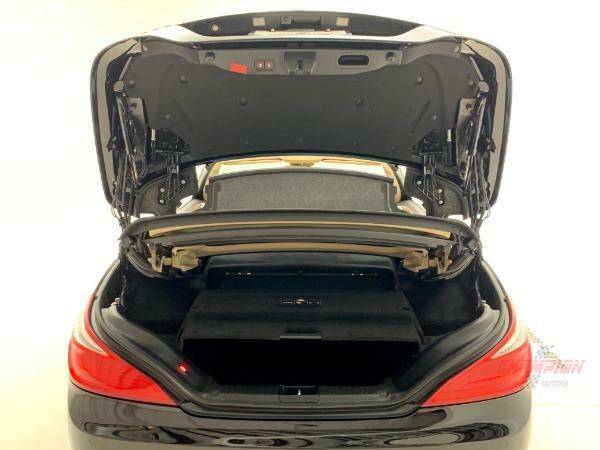 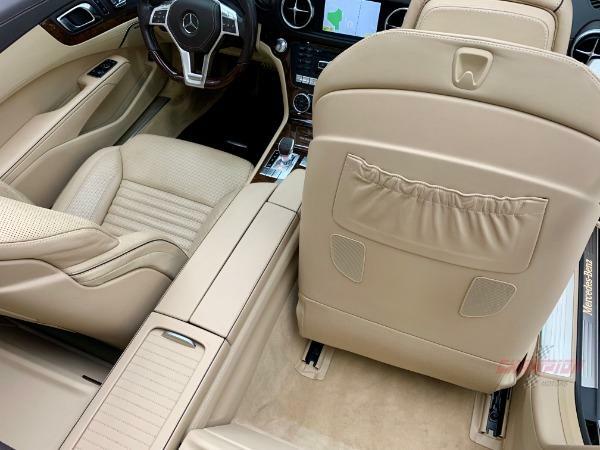 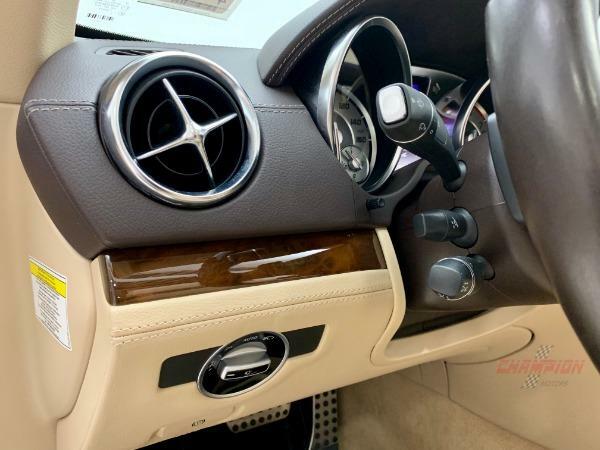 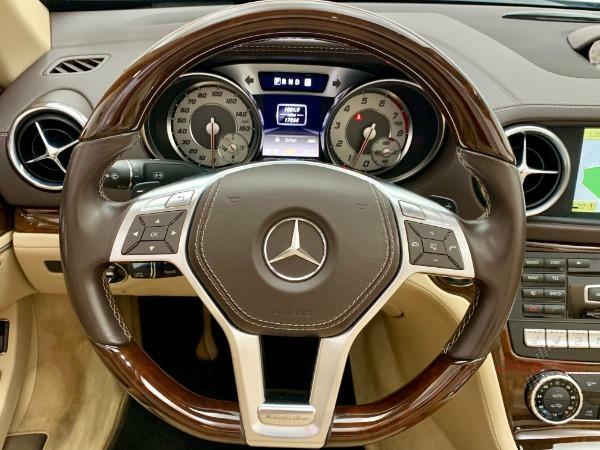 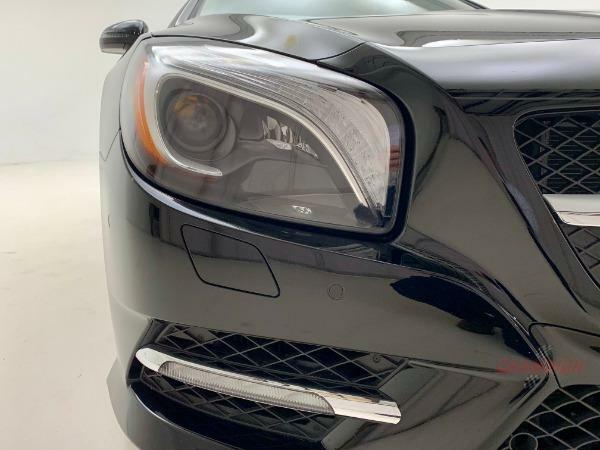 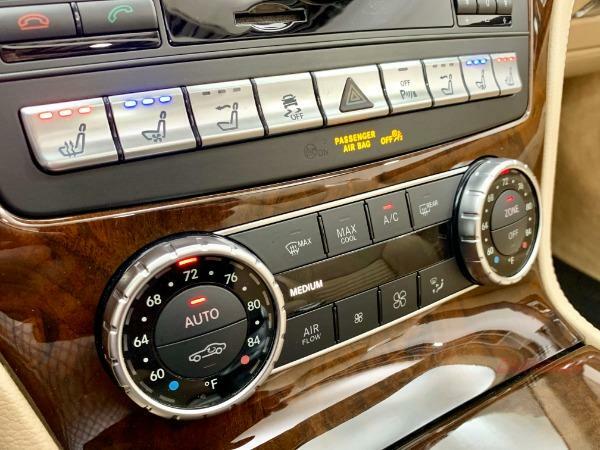 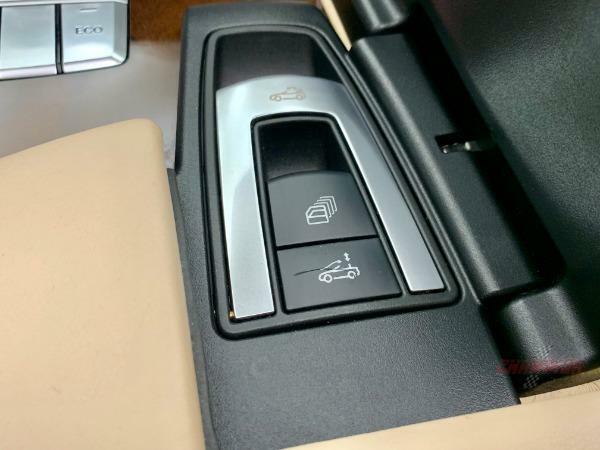 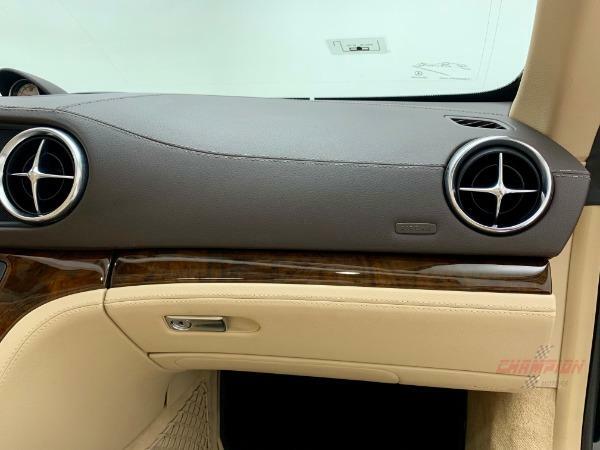 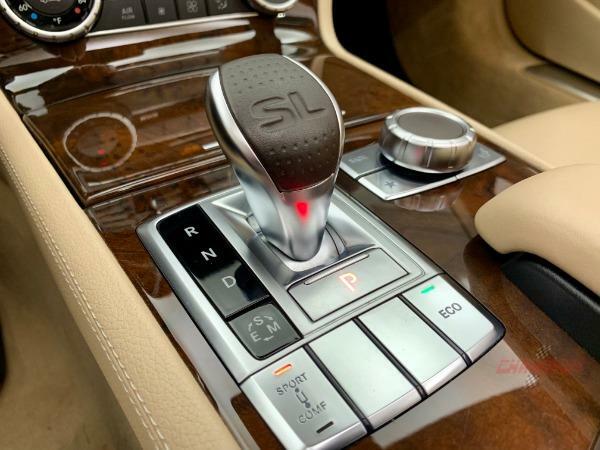 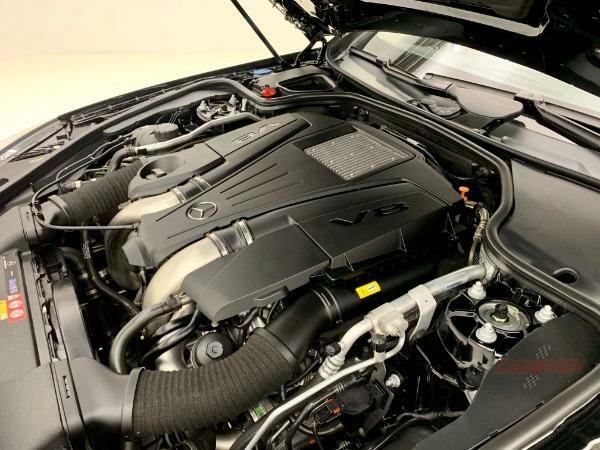 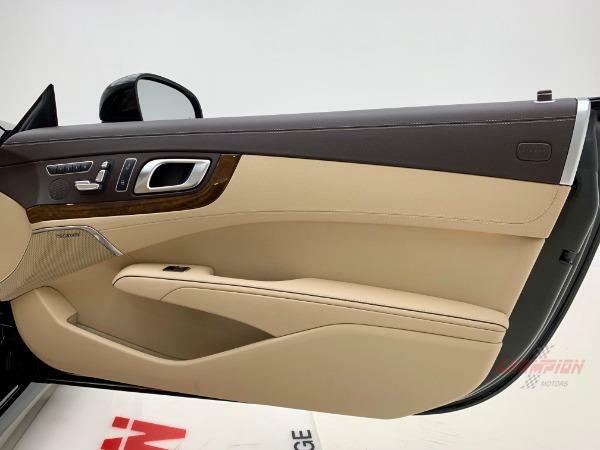 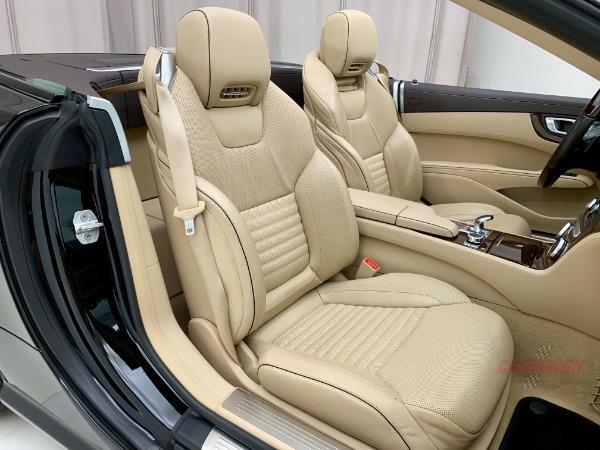 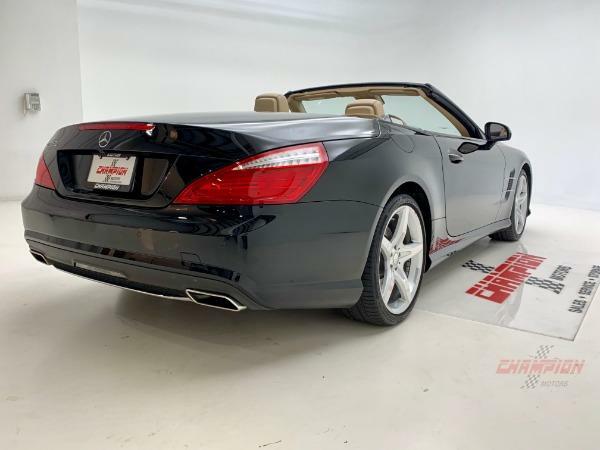 Champion Motors International presents a stunning 2013 Mercedes Benz SL550 finished in Black with Beige and Brown Premium leather interior and Burl walnut wood trim. 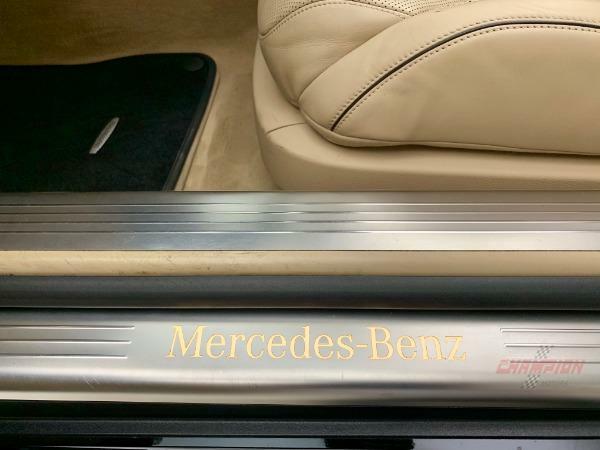 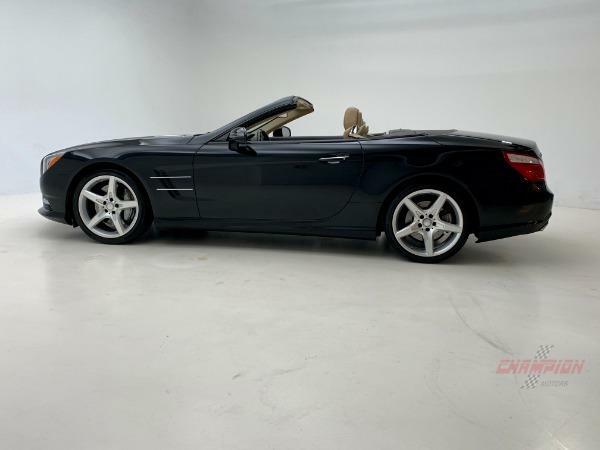 With only 17,254 miles, this Mercedes is in great condition and will please the most discerning buyer. 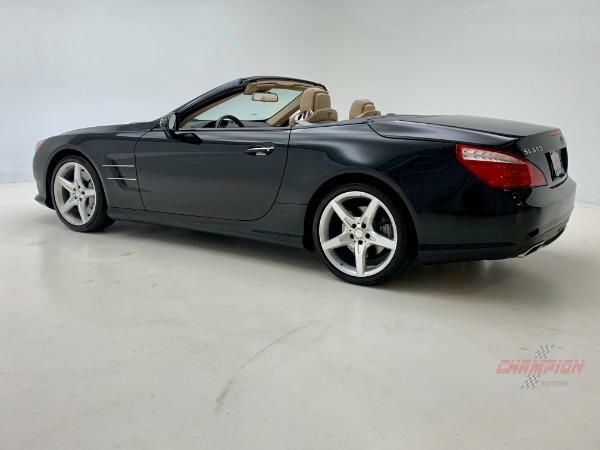 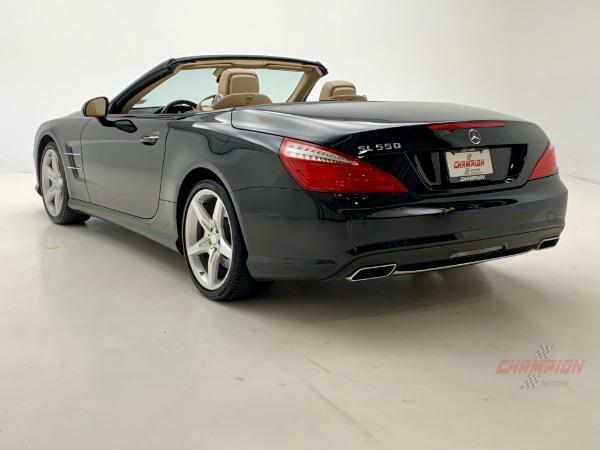 This SL550 is nicely optioned with an MSRP over $117,000. 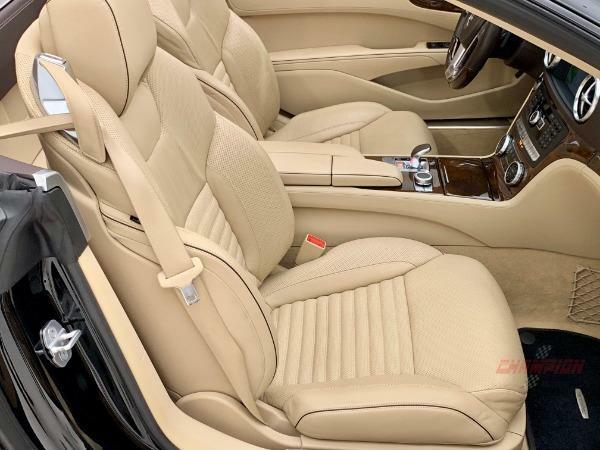 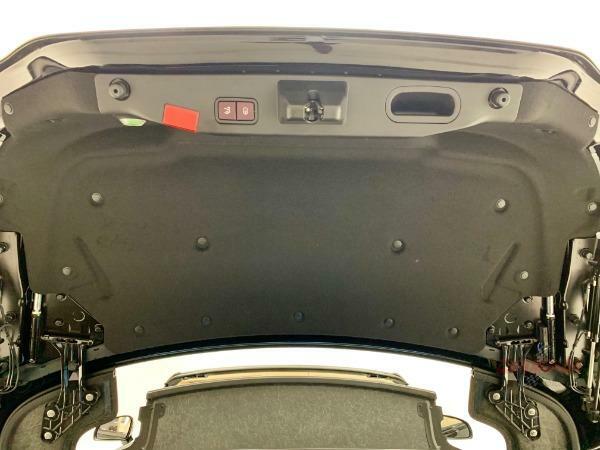 Factory options include a Premium leather interior, Premium 1 package (which includes a Rearview camera, KEYLESS-GO, Power trunk closer, Active seats, AIRSCARF, Active ventilated seats, and PARKTRONIC with active parking assist), Illuminated door sills, Analog clock on dash top, Driver assistance Package (which includes DISTRONIC PLUS with Pre-Safe Brake, Active blind spot assist, and Active lane keeping assist), 19 AMG Sport wheel package, Wood steering wheel, and Panorama Roof with a beige headliner. 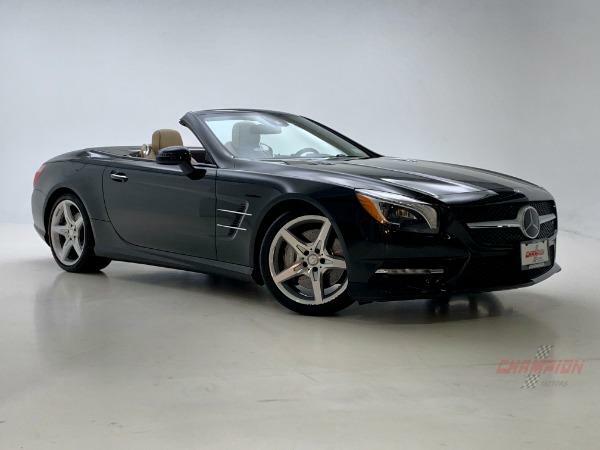 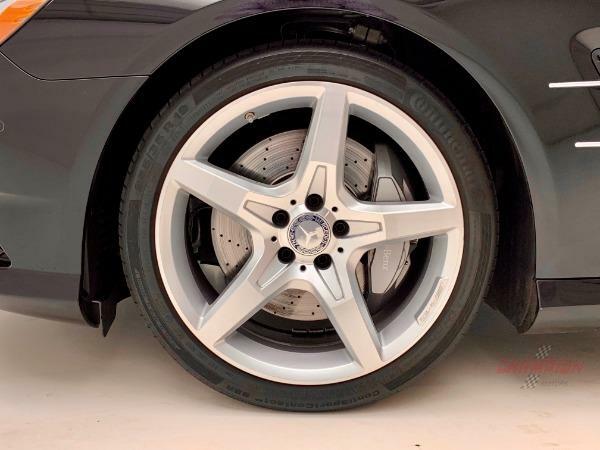 The 2013 Mercedes Benz SL550 is a wonderful combination of sport, comfort and luxury. 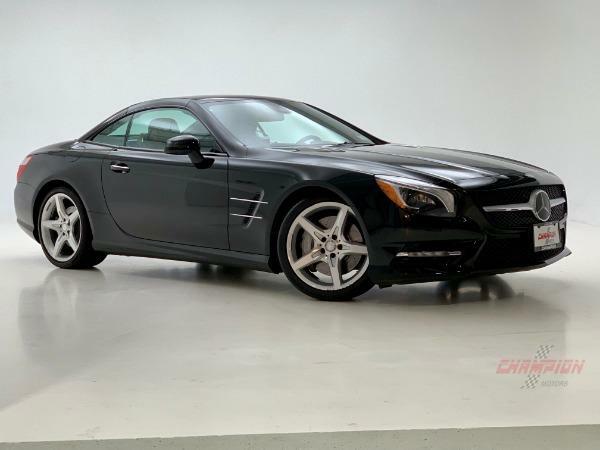 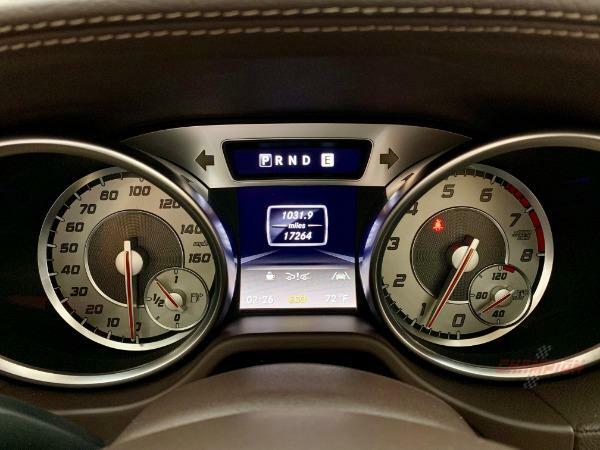 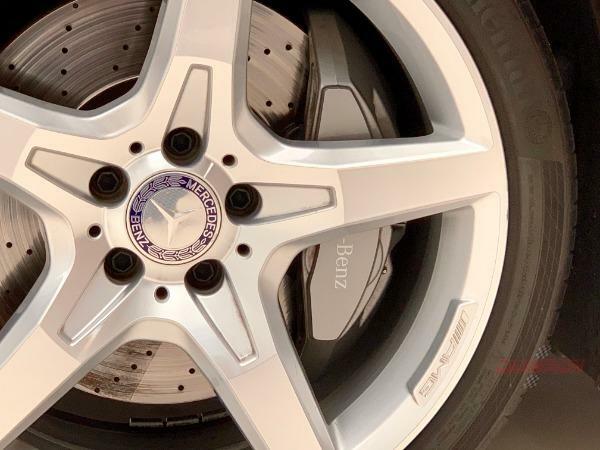 With 429 horsepower and 516 lb-ft of torque delivered by a 4.7 liter twin turbo V8, this Benz is no slouch. 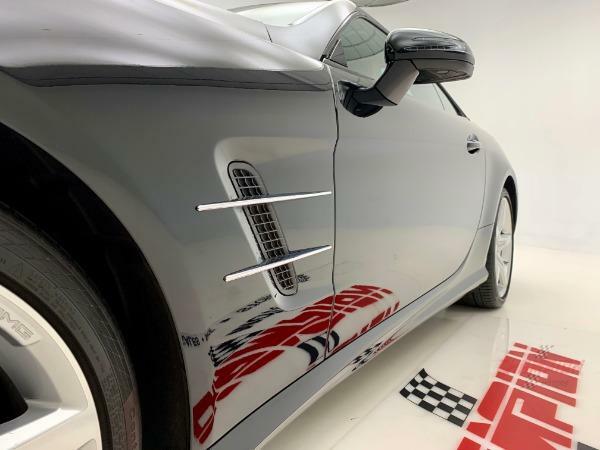 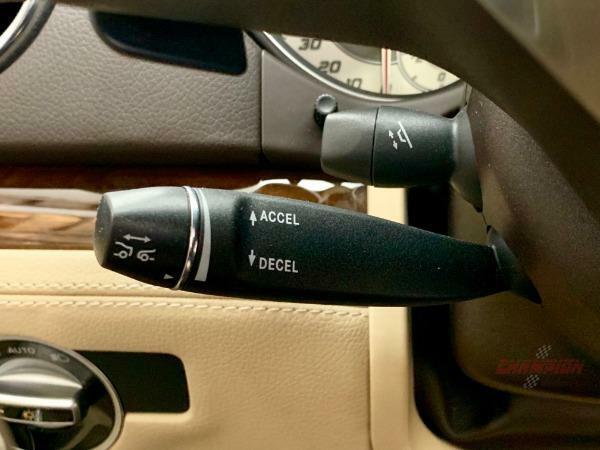 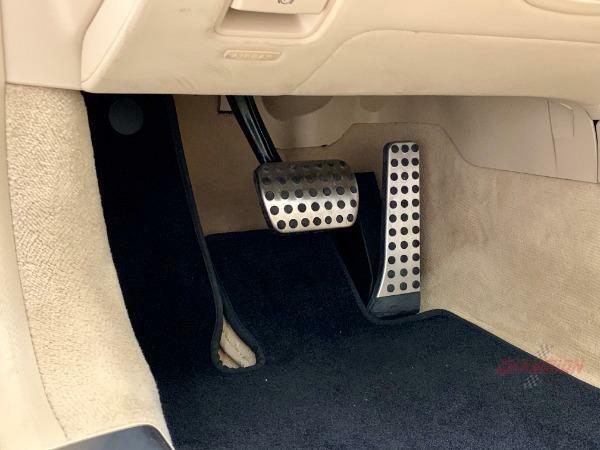 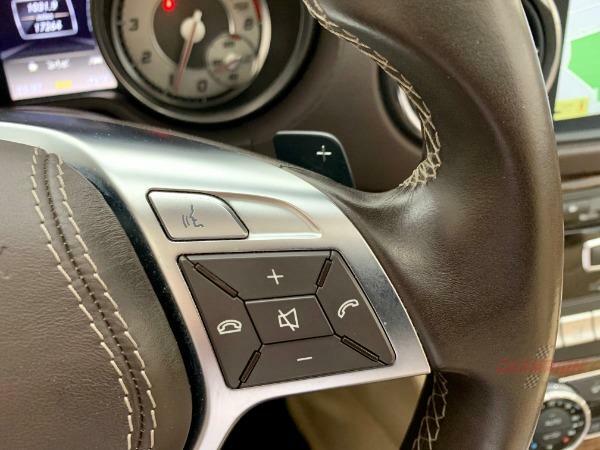 It reaches 60 mph in 4.1 seconds, the quarter mile in 12.5 seconds at 116 mph and a governor limited top speed of 159 mph. 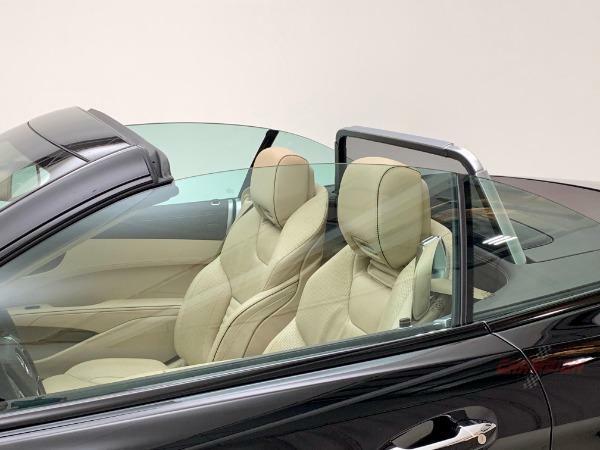 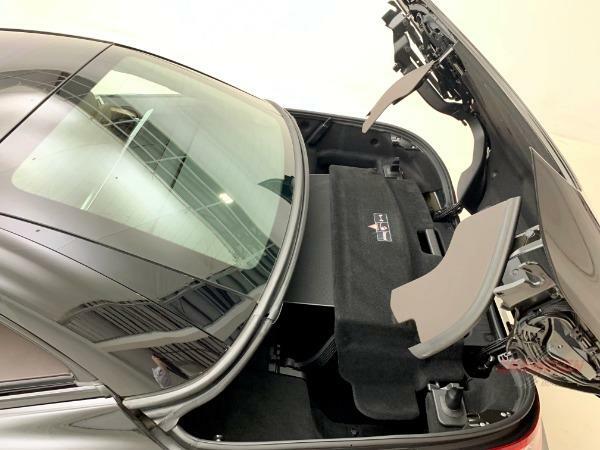 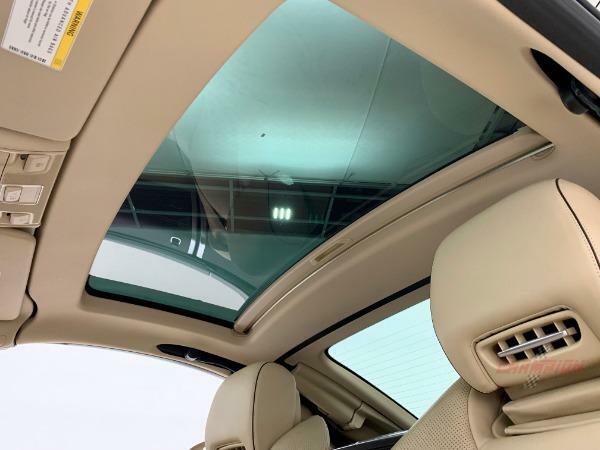 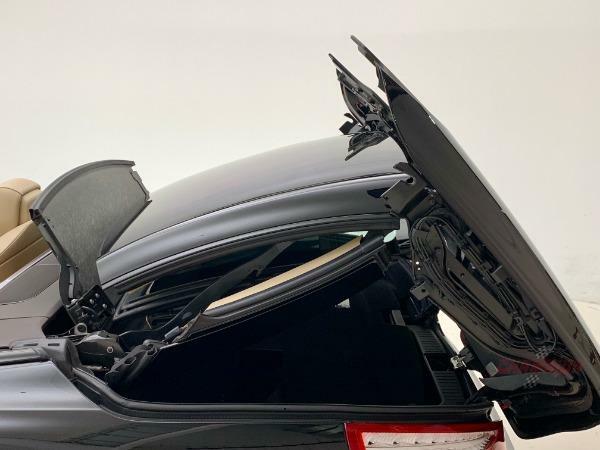 Whether the panoramic roof is up or down, the Mercedes Benz SL550 will surround its driver in luxury. 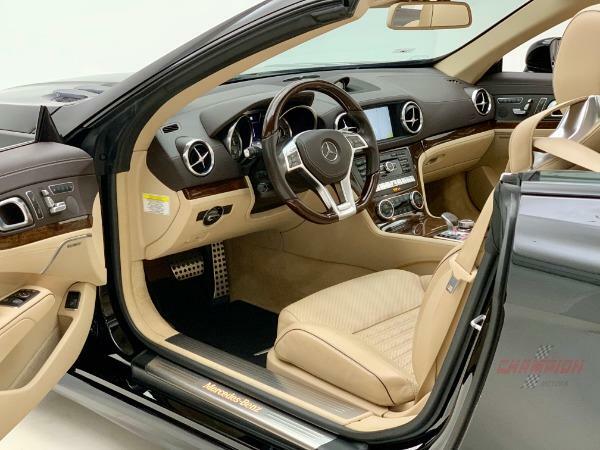 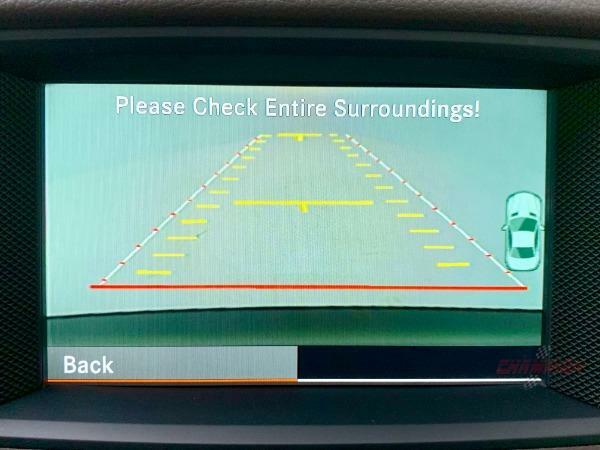 *While every reasonable effort is made to ensure the accuracy of this information, we are not responsible for any errors or omissions contained on these pages. 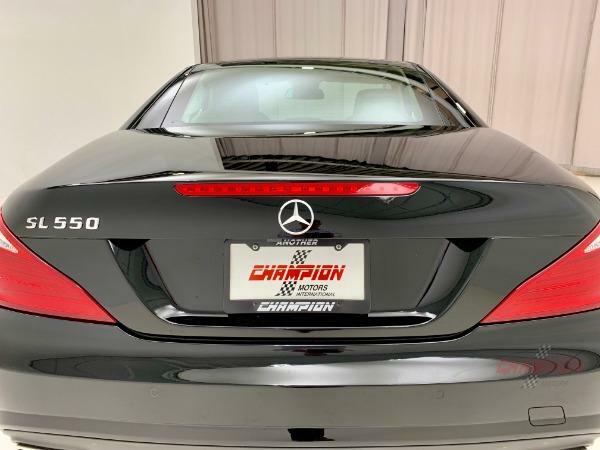 Please verify any information in question with Champion Motors International.